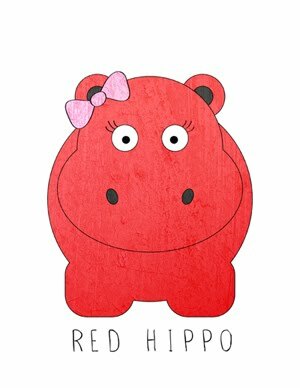 Red Hippo: Mom to an 8 Month Old!!! Mom to an 8 Month Old!!! 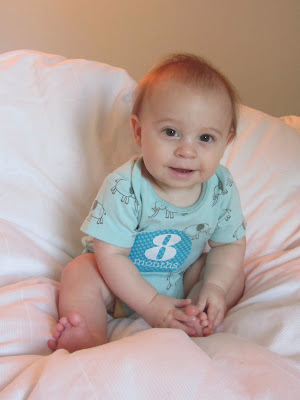 Baby E turned 8 months old last week. What can I say... "It's all going to fast?" Said it. "Being his mama is the most amazing thing ever?" Said it. How about this: "I am better because I'm his." That...that right there is motherhood in a nutshell, folks. I'm kinder, gentler, more compassionate, and more patient. He makes me a better version of myself. I can't even begin to tell you how amazing this life of mine is. Believe me when I say- 8 months of motherhood has changed me. So, enough about me. For this post, I think I'll focus on the Monster. Here are 8 little tidbits about Easton. Easton is rolling everywhere!! In month 8 he really began to develop his rolling skilzzz. He rolls from front to back (which he'd been doing for quite some time) and back to front (that's new!). He rolls to get places he wants to go. He even rolls off couches (whoopsi!!). He's a little rolling machine. He says "mama" and "hi" but he's no circus monkey!! He likes to say "mama" and "hi" only when HE wants too- if I try to get him to use his words when I want him too, it never happens. But I will tell you this....other people besides his mama and daddy HAVE heard it. I'm not making this up, PEOPLE!!! One tooth is starting to break through. 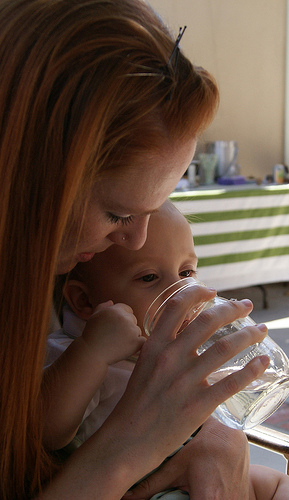 The days of having a tooth-less baby are quickly coming to an end. In the last couple of days, the monster has started to teethe....and boy oh boy are we excited! I'm really looking forward to seeing him with a little tooth. So cute. His hair seems to change colors. Depending on whether he is inside or outside, his hair looks different. It looks like it's strawberry-blond when he's in the sun, and a kind of ashy-blond/brown when we're inside. I'm really hoping it stays in the strawberry-blond world. Red heads really do have more fun. He LOVES animals. Easton is seriously captivated by animals. As soon as he sees a dog or cat, he gets so excited and forgets all about dear ol' mama. He loves being licked by doggies, and I let them do it. Why not? Dogs mouths are supposedly cleaner than a human's. He loves to be tickled. I tickle Baby E all the time. He just giggles and giggles. It might be one of my favorite moments of every day. His laugh is contagious and beautiful. He still wakes up during the night (and I don't mind at all). I know that eventually I will sleep train the little bugger...but for the time being, I really kinda like waking up with him at least once during the night. It gives me a little bit of cuddle time with my guy. I will look back on those night time feedings/cuddle sessions with absolute joy. They are such special moments with my baby. He has officially started crawling!!! My life just got a little harder. In the last week, my little muffin has started to crawl. He moves pretty quickly too. It's time to start baby proofing!!! ANDDDDD....He drinks from a cup like a champ!